Could a colour test detect AMD? Researchers at Aston University are hoping that a simple eye colour test could detect a form of age-related macular degeneration. Michelle Marsh reports. A study is expected to start later this year with the aim of identifying the early onset of neovascular age-related muscular degeneration (nAMD). If successful, the research has the potential to open up the possibility of preventative treatment at an earlier stage than currently available. Affecting eight per cent of the total UK population aged over 65 (321,000 people), nAMD is one of the most common causes of visual impairment in the UK’s elderly and, due to the increase in average life expectancy, is predicted to increase in prevalence by a third by 2020. Although nAMD develops slowly over time, it is difficult to detect in the early stages when treatment is more likely to be successful. Left untreated, nAMD can cause bleeding, scarring and irreversible structural damage to the eye, often leading to sight loss or severe visual impairment. Dunhill Medical Trust, a charitable company that supports research into medical developments aimed at improving the quality of life of ageing and older people, has injected £300,000 into the study. Planned to run over a three-year period, the research will involve testing the retinal function of 210 people recruited from NHS eye departments in Birmingham. All research participants will have been diagnosed with wet unilateral nAMD for over two years, placing them at a higher risk of developing the degenerative condition in their remaining healthy eye. Previous research has indicated that “slight changes in colour vision may be used to detect the occurrence of wet AMD earlier than current techniques”. Eperjesi’s study will focus on developing an early detection method for nAMD using colour contrast sensitivity testing (CCS) techniques to identify the start of ocular disintegration. At present, nAMD is only detected when patients are experiencing eye sight loss, the stage at which noticeable change to the structure of the eye has occurred. 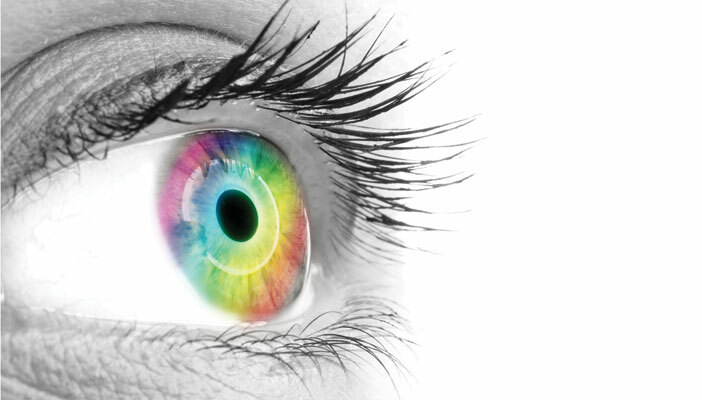 A simple yet revealing test, CCS works by measuring the eye’s ability to distinguish between different colours of varying shades of the same colour. Eperjesi’s hypothesis rests on the theory that people who struggle to detect variances in colour during the test are at a higher risk of developing nAMD, or may already have an early form of the condition. Identifying the degenerative condition before or during these early stages will give patients the opportunity to access treatment much sooner than currently possible – something Eperjesi believes will increase the chances of people retaining their sight to a better standard that before possible. If successful, Dr Eperjesi believes the test could be carried out in community practices offering optometry services at a reasonable price – yet to be decided – and could eventually become incorporated into routine eye screening. Eperjesi states this development in ocular testing would signal “a real victory for patients” and help them live with “unimpaired vision for longer” by widening the availability to preventative screening. To read more about the Simple Colour Test study, go to the Aston University website.